Chips supported: atmega32, atmega328p, atmega1284p (both 44pin smt and dil40), atmega128, atmega1280, atmega2560. makes arduino much easier to install for the new bee that arduino is aimed at. have not tried (c) yet, but the memory free check is a great add on, as is the lib manager. What do you mean? where the library manager do his things? 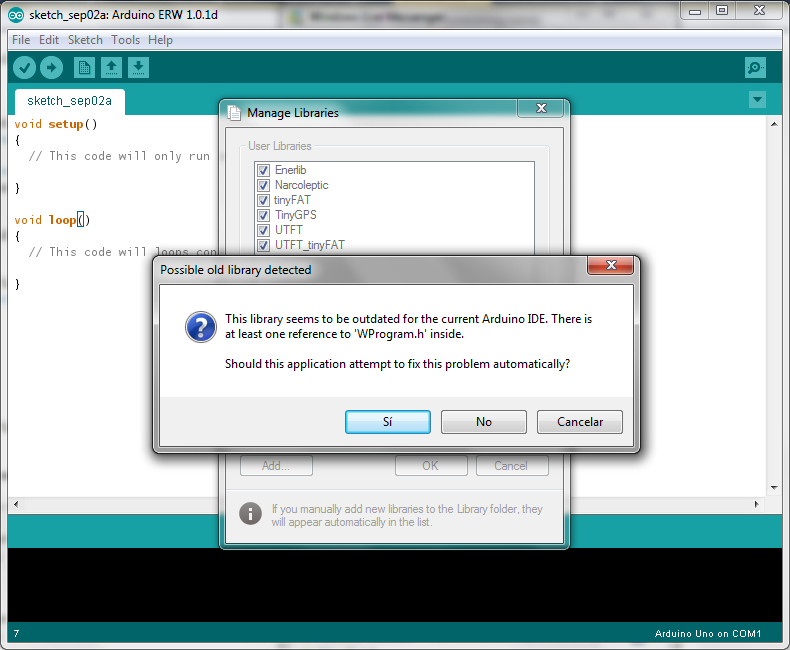 Yes, unninstaller sounds nice, but I am not sure if is just better to disable a library rather than unninstalling it. I have to test more because the "Add" option is still under testings mainly because the "Update old library" procedure must work very well otherwise I will not enable that feature. I'd like a toggle "switch" to open terminal after upload. I use the shortcut Ctrl+U to upload the sketches, and I want a way to (optionally) automatically open the terminal. Instead of a shortcut, I would like it to be a toggle option. If you want it to be a shortcut though, Alt+U should be fine. Either that, or else a shortcut that opens the terminal (not upload and open the terminal, just open the terminal), but if the program is uploading, it wait's till it finishes. Sounds like a good suggestion but I don't want to change a lot the experience, I want to improve it and add features. So I think changing the button behaviour or the shortcut requires more comments and discussion. Once you start changing the IDE, it stops being 'Other Software Development'. This should be discussed on a more official level, in my opinion. Particularly if you are only working on Windows. 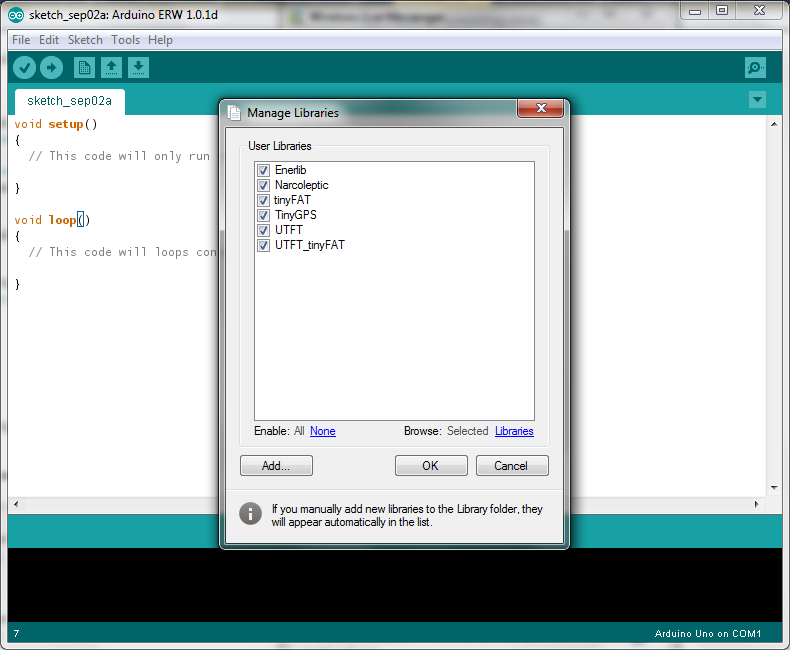 One of the best aspects of the Arduino is that it is platform agnostic. Well, some of the fixes/improvements are more than two or three year old (reported on google code), like the ram usage prediction, rxtx dll hack, blurry icon hack. I understand that they can't be seriously added because they are mostly hacks or unnoficcial stuff, so I am not complaining about anything. 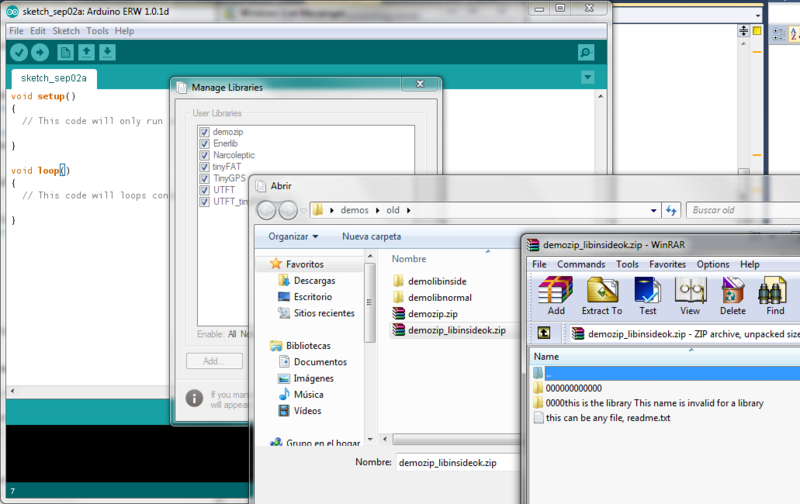 My idea is just to get a nice fully working arduino ide with double click for Windows, what is missing now is the library installer and library automated updater. Then fix the issues with the mega 2560 and 1.0 and finally and optionally a "usb" debugger or some wizard to troubleshoot all connection issues, or bootloader, in that moment I will be ablet to feel that I am done hehehe... In conclusion I will enhance the experience for all those users on my platform, it is what I am able to do. The only other alternative I have is to watch how the same errors appear over and over in the forums and we keep answering the same things forever. In conclusion I will enhance the experience for all those users on my platform, it is what I am able to do. 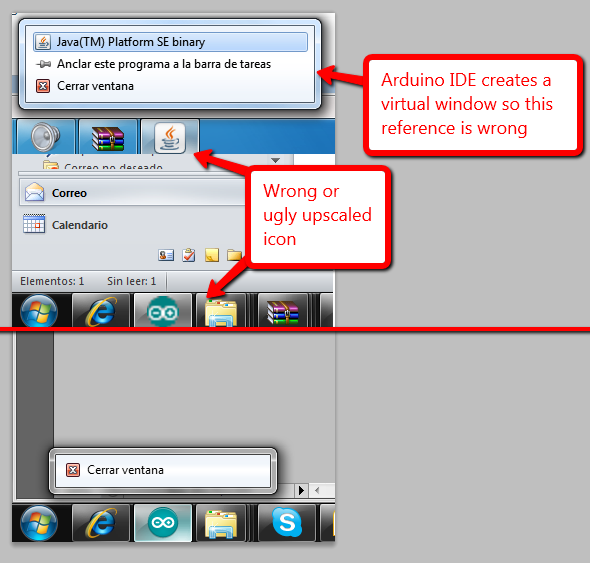 So you want to bring fragmentation to Arduino? 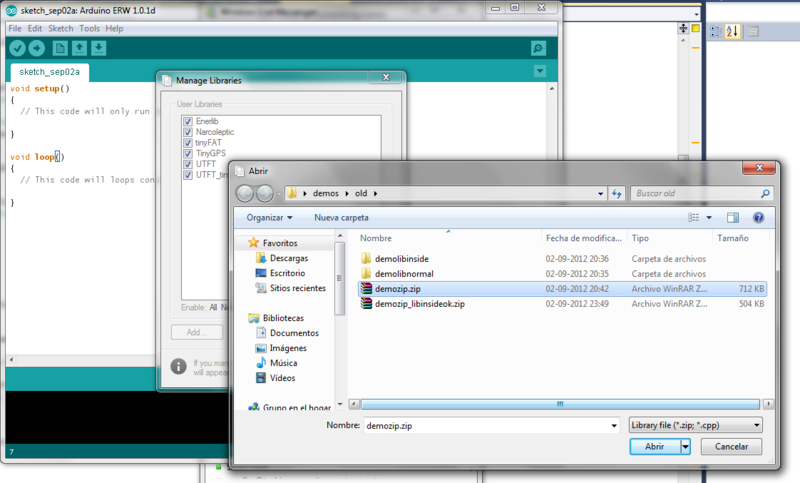 Look the fonts on Mac, pretty and smooth. Standard ones on Win, choppy and old. If you plug a BT dongle it takes 30 secs to start in Win, winavr has like 3 years old. Where is your unified experience I am breaking?